This year’s theme for the graduating exhibit of the Philippine School of Interior Design center around the exploraiton of possibilities through “Adaptive Reuse” as a design solution. They were given the challenge to create 17 spaces that perfelctly mixed the past and the present, a juxtaposition. The exhibit was divided into three different galleries namely: Tahanan (from old residential buildings), Pangangalakal (Highlights the streetscape of Escolta & Avenida Rizal), and Pang–industriya (Center on old indusrial sites and warehouse). 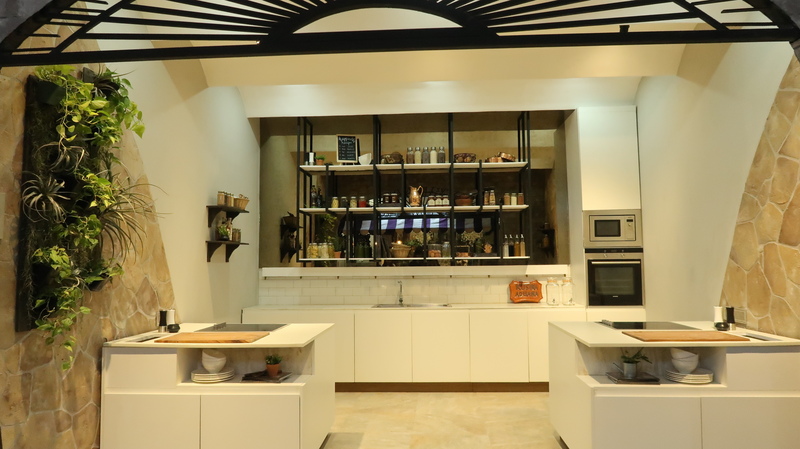 The exhibit titled JUXTAPOSE: Espasyo at Panahon, launched on September 29 at Santolan Town Plaza for the parents, friends, and partners of the exhibitors and opened to the public on October 1, 2018. Designery has partnered up with the designers for the overall fascia labels of the booths and booth description boards, along with some special items for each booth. 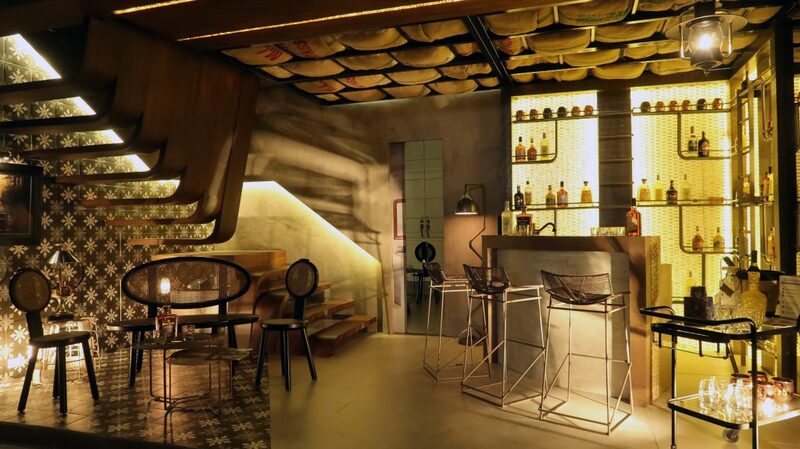 The first space is inspired by the Castro House built in 1933 that had a hidden bomb shelter underneath the kitchen floor, which they in turn transformed it into a speakeasy. A mix of the spartan look of the bomb shelter and the familiar elements of Filipino style combined the look of their design. 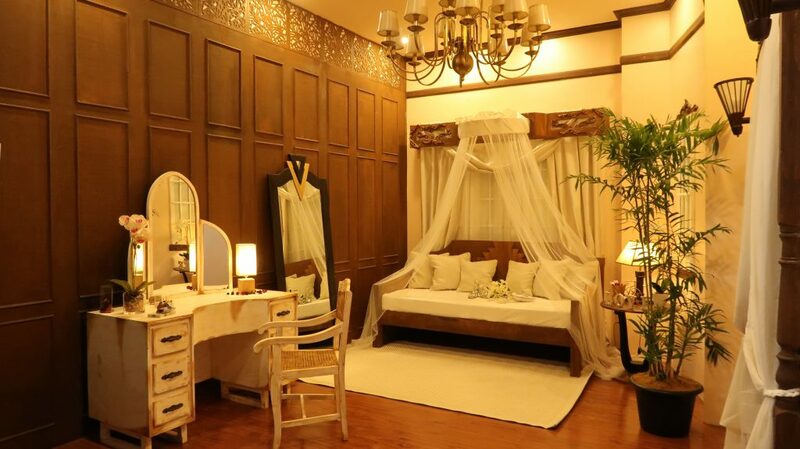 The second booth comes from a famous tourist spot in Calle Crisologo Vigan, the Cabildo Ancestral House. The house’s distinct Spanish colonial character accompanied by the rich culture that surrounded it inspired the designers to repurpose the space into an atelier fit for a Filipino couturier. The Tañada ancestral house, home to the late Sen. Lorenzo Tañada and his family in the early 1950s were later split among 9 children until the main house remained on a smaller plot of land. This became the main idea of taking it into a modern residential space by the third booth designers. The concept of vertical spaces was applied by taking the bungalow’s gable roof as the centre of re-use for the space. Located along F. Benitez St. in San Juan stands the Laurel Ancestral house, that has been the home of four generations of Laurels since it’s construction in 1927. 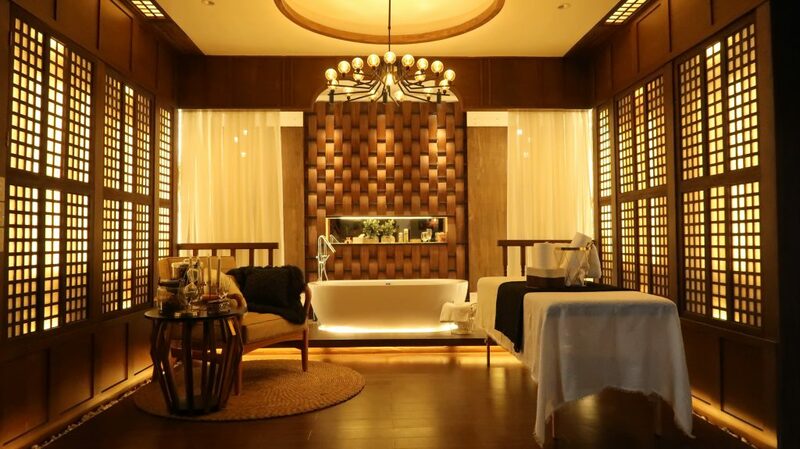 Due to its location within a residential neighbourhood, the fourth group has chosen to re-use it as a private spa. 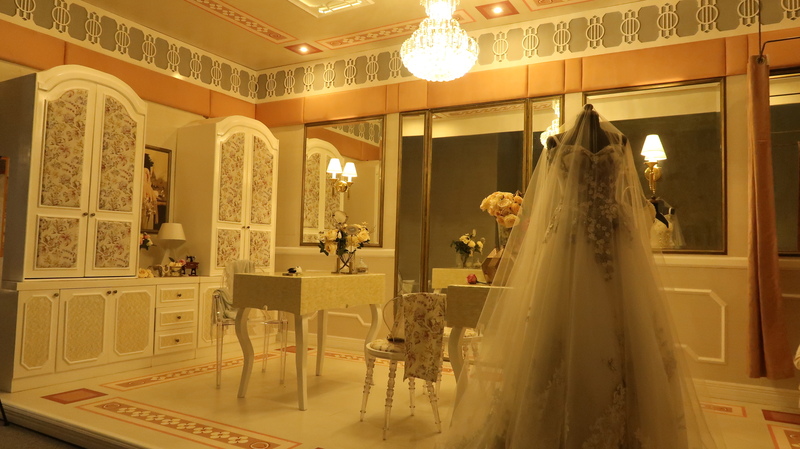 As homage to the ancestral home’s architectural details, the designers centralised their interior on modern Filipino details. The next group follows another ancestral home along San Juan. The Castro House built in 1933 has been a family home since its construction. Due to the relatively low foot traffic in the area, the fifth design group has transformed the space into an events hall. 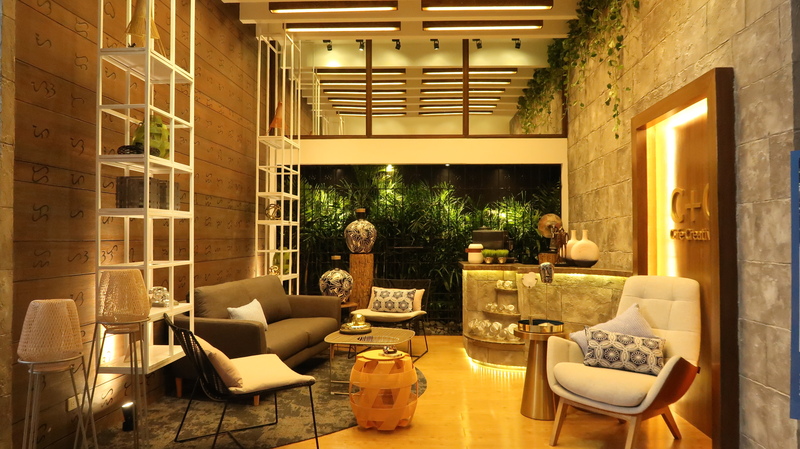 The space highlighted the house’s original Filipino art deco design throughout the small details of the design, to create the balance of old and new. One of the homes of Atanasia Aniversario, the Punzalan Ancestral House located in Taal is the last addition to the Tahanan gallery. After having families come and go since it’s construction in 1900s, the house has transformed into a tourist inn. 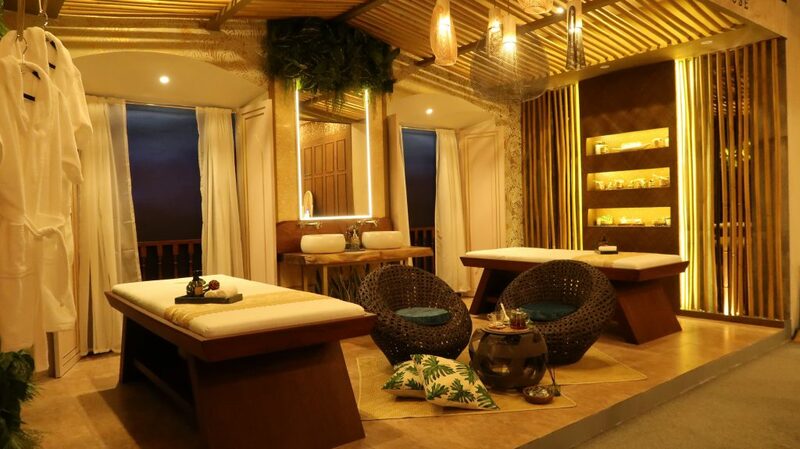 The designers has transformed their space by adding a spa and teahouse to maximize the existing inn’s business potential, with the Filipino practice of ‘hilot’ as the highlight. The first of the Pangangalakal gallery is started by the 7th booth inspired by the Aduana Building’s Mint House (Casa de Moneda) where the first Philippine coins were made. The space reflects the lustrous shines of the coins and is shown throughout the use of copper and metallics in the fixtures and fabrics. 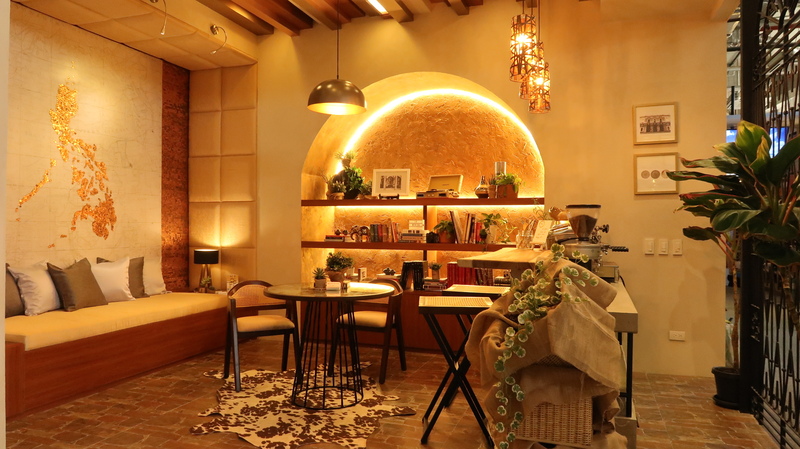 The next booth transforms the former PSID building in Pasong Tamo Street Makati into a modern contemporary Filipino Café, a homage to Lor Calma who designed the building. The space takes use of the hallway and school entrance to create an area for creatives to meet and discuss ideas, and dubbed it as Café+Creatives (CC). 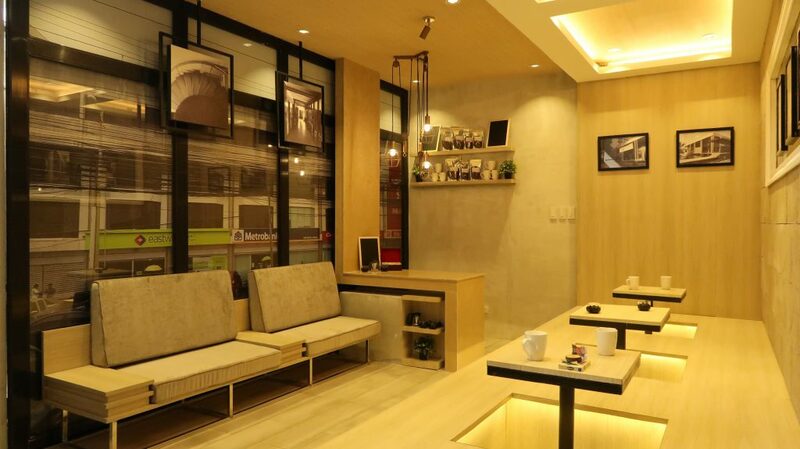 The ninth booth takes its inspiration from the same PSID building and was converted into a museum-inspired café in a mid-century modern style. Balance was created using natural lines with neutral tones for the space, with wide windows for a minimalist modern space. 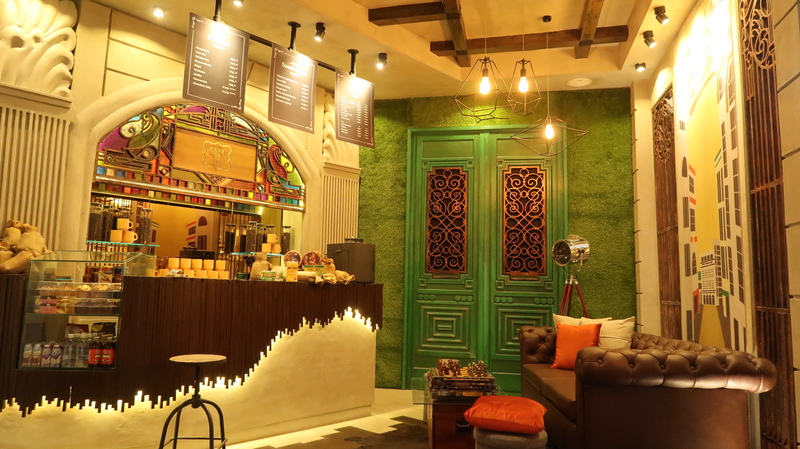 Café 308 is derived from one of the buildings in Escolta that had survived the horrors of World War II, the Regina Building. The interior was designed to keep the neoclassical and beaux art styles of the building, and was made into a coffee bar. A contemporary wall mural of Escolta was added to finish the space. 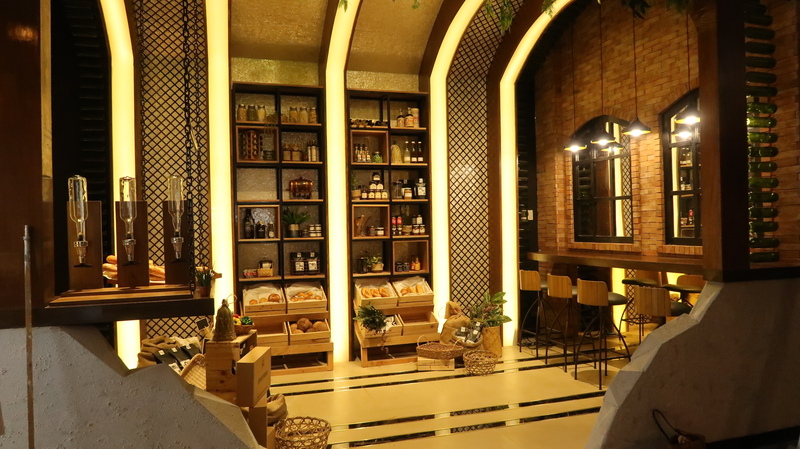 The eleventh booth takes from the Aduana building from Intramuros, and has created it into a kitchen that will make goers develop a deep appreciation for Filipino cuisine under experienced local chefs. Kusina Aduana has been made with a modern rustic design with a touch of Filipino element like rattan weave and palayok. 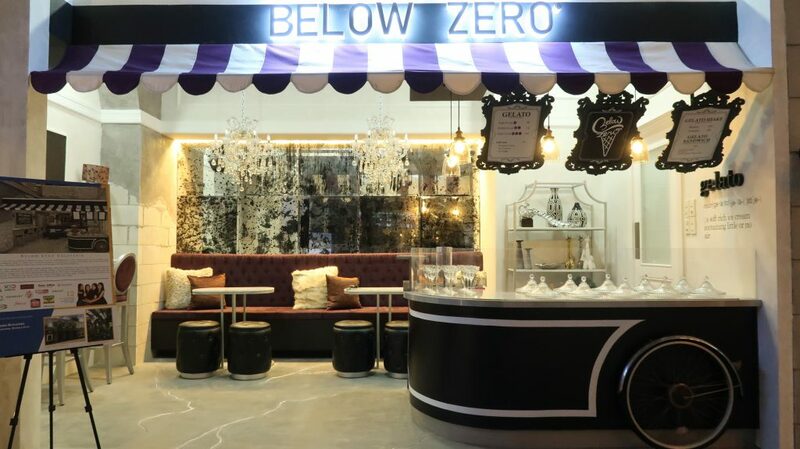 The modern classic design of Below Zero Gelateria also takes its inspiration from the Aduana building. It was designed as a mix of imperial Manila with a hint of simplicity through the use of polished concrete and brick walls to create a mix of it’s modern style and the old building’s design. The Tanduay Fire Station of Manila’s university belt is the oldest operating fire station in the area. 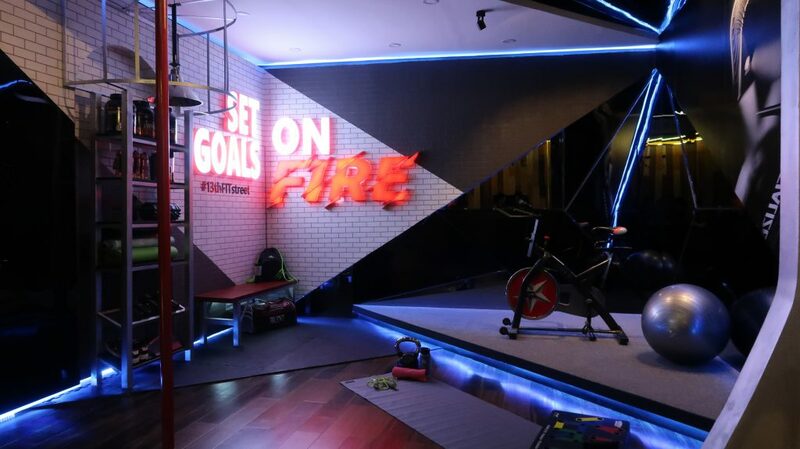 The thirteenth booth designers have given the space an edgy modern gym twist through the concept of a night out at the gym. Old features of the station like the hooped ladder, black rubber flooring, and the fireman’s pole were retained and repurposed as an accessory to the design. Another fire station located in Manila serves as the inspiration for the fourteenth group of designers. The San Nicolas Fire Station established in 1901 was transformed into a mid-century modern dormitory complete with original details from the building like the fireman’s pole and wooden interior. 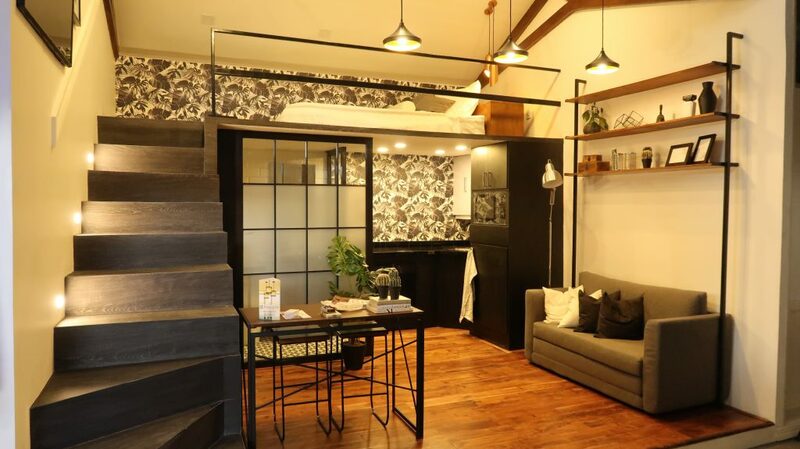 Bunk beds and sliding ladders were inspired from the firemen’s quarters and firetruck ladders respectively. Station No. 15 also takes its idea from the Tanduay Fire Station of Paco Manila, and has flipped it into a co-working bar for students and entrepreneurs. 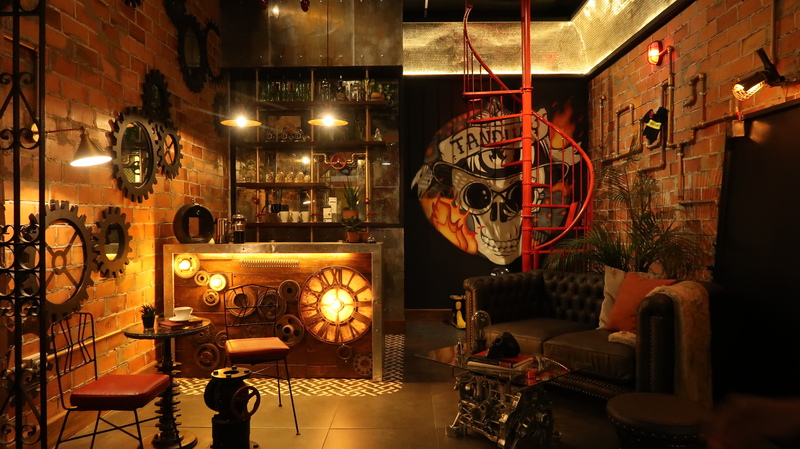 The station has turned the space into a relaxed & creative space for the modern Manileño with old designs from the station with a mix of steampunk. The PNR Polo Station has served as a military base during the first republic. The sixteenth group has envisioned it as an Artisan local wine shop for the country’s local produce. The patterned capiz wall to the bronze mirror & steel created a mix of rustic contemporary and industrial design. The final booth of the exhibit is inspired by the San Fernando Train Station that was built in 1892. 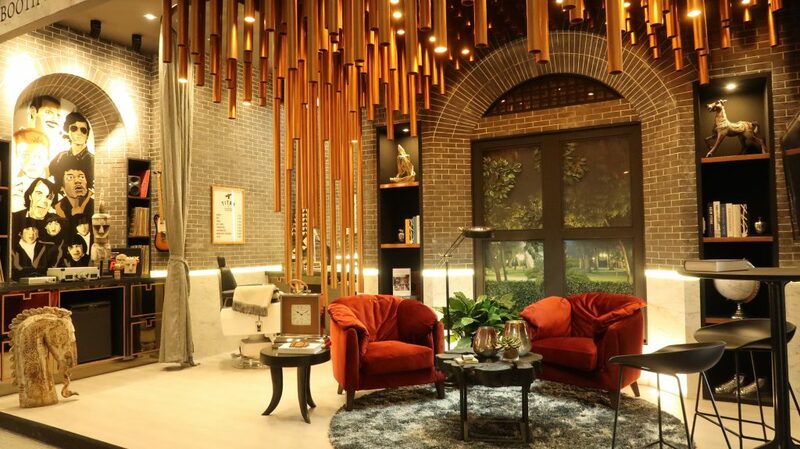 The designers reimagined the space as a Gentleman’s Barber Lounge that had traces of the original interior architecture of the station with a combination of contemporary aesthetic.